Houston’s second-year forward was arrested this morning in Portland, Oregon after a police officer claimed he saw Jones stomp on a homeless man’s leg. Things have been going so well this summer for the Rockets that it’s a shock to see some bad news come down the pipe. 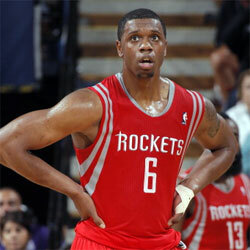 Rockets forward Terrence Jones was arrested in Portland early this morning, accused of stomping on a homeless man’s leg while leaving a bar. According to KATU in Portland, who first reported the incident, a police sergeant claims he saw Jones walk by where two homeless men were sleeping, yell “Wake up” and then stomp one of the man’s legs. The victim was not seriously hurt (“a minor leg injury”), but it’s alarming just the same. Jones is from Portland, where he starred in high school. He posted photos from being back in Portland on his Instagram account last week. The 21-year old forward has a fairly good chance of getting significant minutes this season, needing to beat out Greg Smith and Donatas Motiejunas as a starter in the frontcourt alongside Chandler Parsons and Dwight Howard. While it’s not a major incident and we certainly don’t know Terrence’s side of the story yet, it raises a flag about a player who had no problems or issues in his rookie season here with the Rockets. 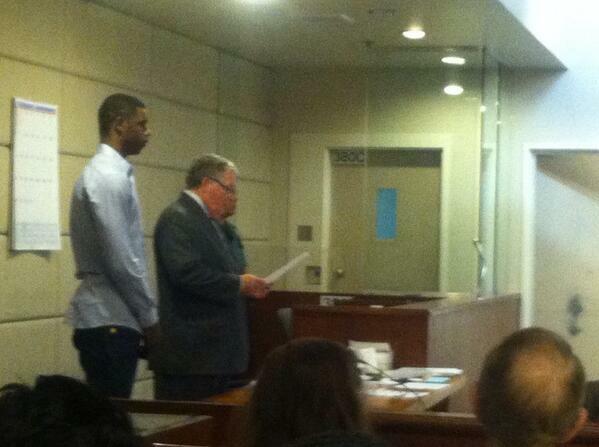 UPDATE: Terrence Jones’ attorney says the Rockets forward did not stomp on the homeless man and that “this isn’t a criminal matter.” KATU’s Emily Sinovic reports that Jones was “in tears” before his processing hearing today and his next court date is September 6th.